Serge Van de Zande sharing news from within the customer relationship marketing agency LUON. Interwebhead. Bedroom programmer. Podcaster. Music lover. Creator of @LeadSingle, Tweet Nest, Pongsocket. Designer. Daydreamer. Social media underachiever. 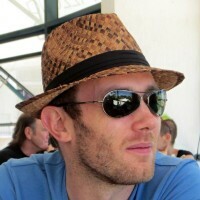 Co-founder of http://adieu.ai.